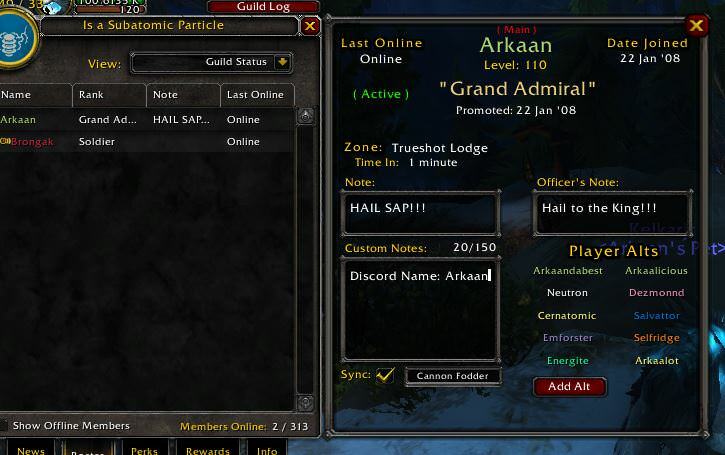 Join up on discord for udpates, and feel free to chat about the addon, make suggestions, or report bugs. I will need the help in reporting the bugs. There are just too many edge cases that might occur.. Any help will be greatly appreciated in bug reporting. WARNING: This is an addon early in development with High-Speed releases. I release updates frequently, as in weekly, sometimes within days of each other if I get a lot of work done. Check often to stay up to date! NOTE: I wrote this addon mostly for myself. 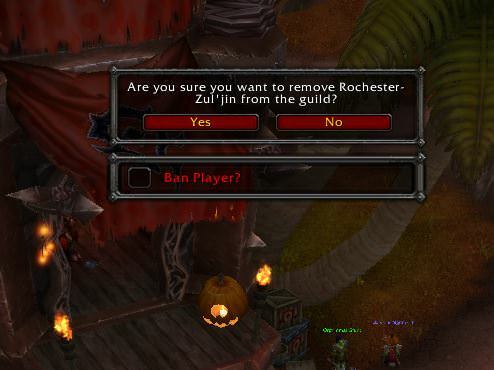 As someone who has been a guild leader for many years, there are just some features I have wanted for quite a while, and I don't feel like the current options truly fit my needs and desires. I want to do more than just bring something to the table that currently doesn't exist, but instead, I wanted to bring it to the table in a clean, easy-to-use UI, that was logical, that was customizable, and something that could be expanded upon on request. I also built it 100% from the ground up. Zero dependencies. Zero libraries added. Zero UI taint. I built everything and every frame from scratch. 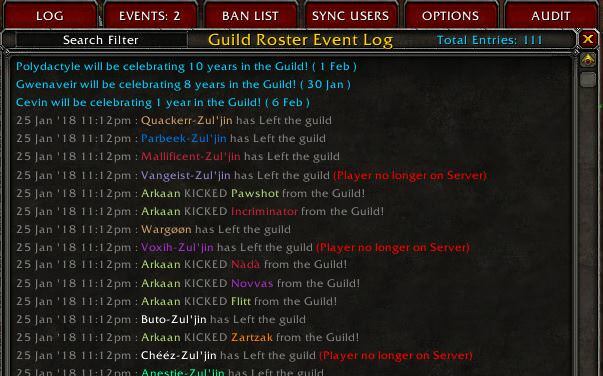 Mouseover the guild roster names for all player info, some unique to addon. Ability to add birthdays and sync them to others. 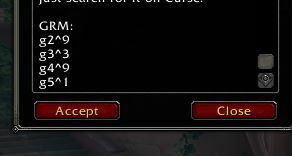 Set Custom Notifications like if a player is AFK becomes Active again. Tag which of the toons is the main. 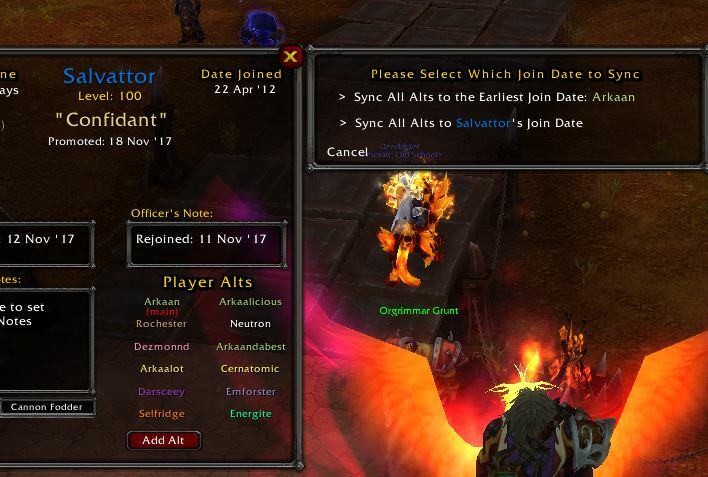 Sync all alts to the same join date so you don't need to manually configure each one. Quick glance on data still needing to be updated. Custom Notes! An extra 150 characters! Use CTRL to scroll log super fast, or SHIFT to go immediately top or bottom. 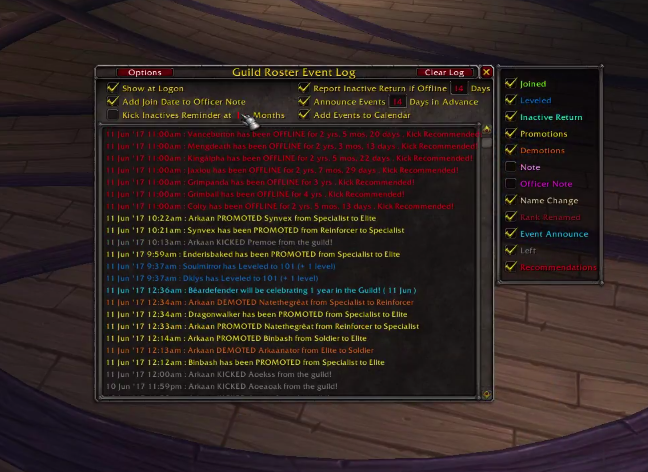 Number of guildies you are grouped with in the raid window. 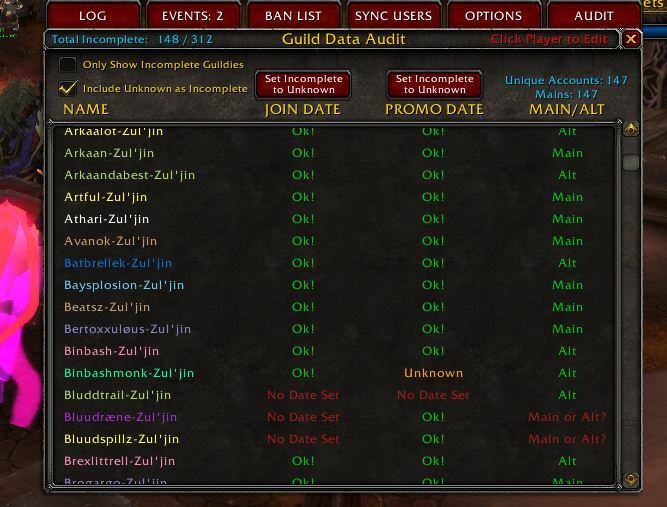 Unify some control options using the "g#^X" tags in the guild info window. X = index of minimum rank. Example: g2^0 = Guild Leader rank only(GL is zero), sync with no one, or g2^9, sync with ALL (if you have all 10 ranks established, including GL). Major release 1.50/51 is out! Is there anything I can do to avoid the immediate disconnect when logging in? I have tried to use this addon for a few versions now and I get almost immediate disconnects when I log into the game with the addon enabled. There seems to be something causing a disconnect once sync starts. Working on debug now. First, I'd recommend reporting this to my discord channel linked in addon description as I respond there quicker. Uncheck the box to sync. You will need to do it quick before sync auto-triggers if another person is online. You can also do this - immediately upon logging in just paste this into your chat window and hit enter. Yes, it is a safe script. You are just manually changing the sync settings using script code rather than going to GRM window UI to do it. Ya I do have this actually planned. The search code is pretty simple actually. It's just building a somewhat useful front-end interface to do it, which I was prioritizing a couple of other things first before I got to that. This is definitely planned though. TY for the suggestion! 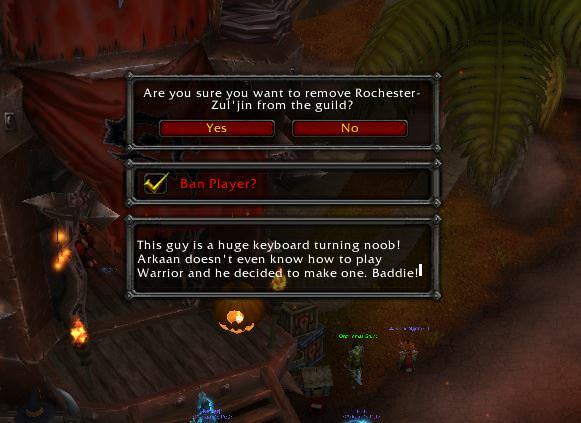 Stop using the addon if you are mad. It was a simple typo. Please stop responding here. I am having a sync issue. No matter how low i set the global sync and the ban/custom syncs all my characters below officer rank refuse to sync. It says My level is too low. With that being said, if the sync window says your rank is too low it is because the other player(s) have their sync filters set at a threshold higher than your rank. So, talk ot the other player, ask them to lower their rank restrictions. What is the file and location containing all custom notes, so I can keep backups just in case ? They are where all addon account-wide saved variables are stored. Obviously the X will represent your unique account which you will see... 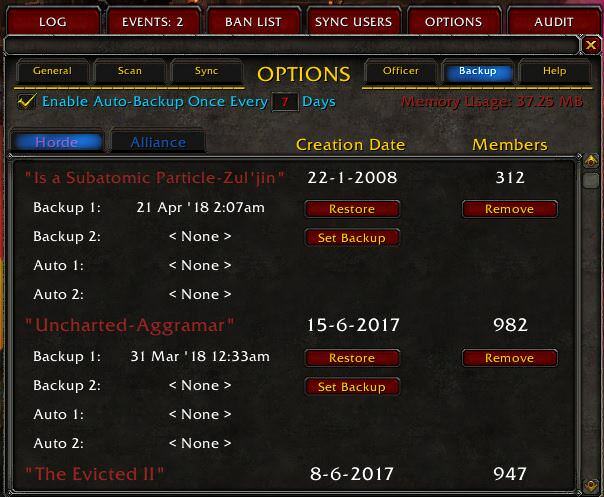 In terms of backing up your data, the BEST thing to do is to get maximum redundancy and sync with as many guildies as possible. But ya, storing from here is also fine. 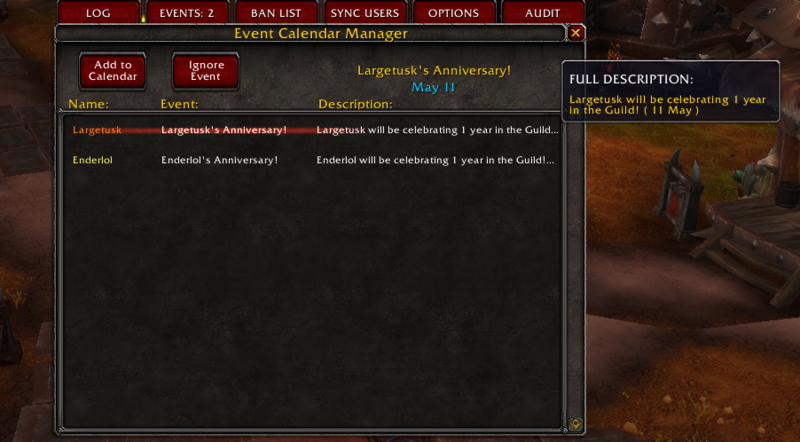 Hi and gratz for the addon, really helpful. Just simple quick question, are the "Custom Note" saved on server or its like a new field that only addon supports (and so its local) ? 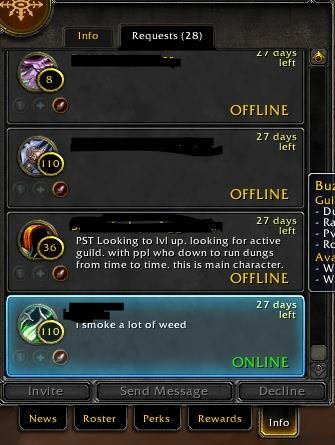 Im a returned WoW player that restarted playing 2 months ago, and I remember 12 years ago, there was only Officer Note and Public note on each character of ours part of a guild. Thanks, good work, I will be active helping you, since im about to create a guild and im now preparing, learning about addons etc.. 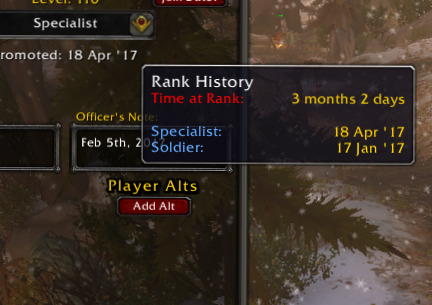 Ya, it is unique to the addon, not saved server side. 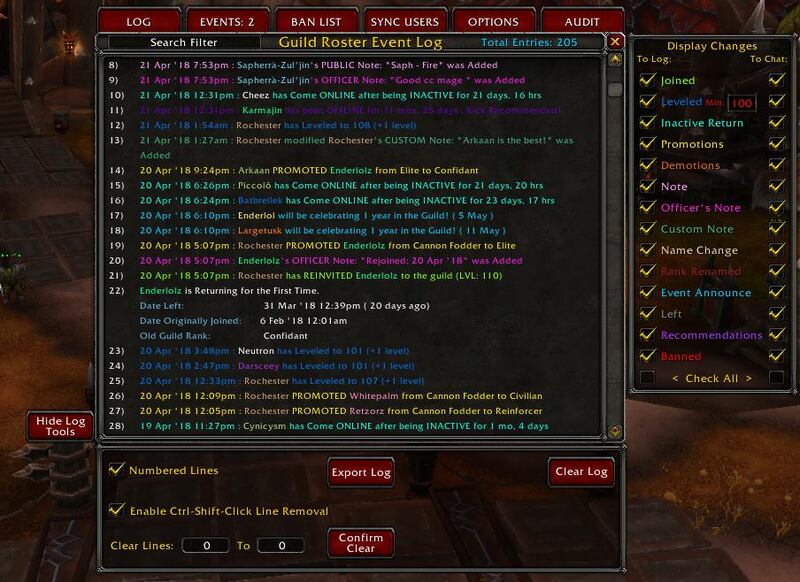 This info WILL sync between all users of the addon. 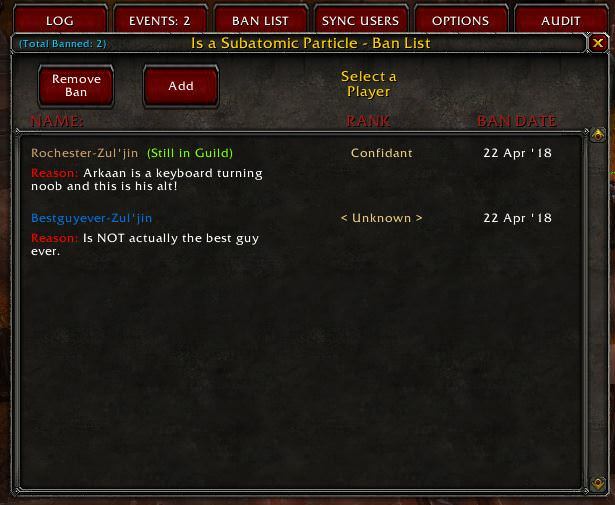 There is an additional note restriction filter if you want to keep it from syncing, but yes, it is 100% unique to this addon and only those using the addon will be able to read it. Ok thanks for the feedback :) I suspected that, but just wanted to be sure. You can change the font size in the options. The addon maybe isn't for you if it is doing things you don't care for. I would highly recommend offering suggestions if you would like to see things change. "I don't like X" or "It doesn't look clean" or unspecified sections of what buttons you don't like and so on is not really helpful. Pro-tip - be more specific. I can't guarantee I will agree, but I am always willing to listen to suggestions. Also, use Discord for a faster response. I rarely check this forum. This was just lucky happenstance. 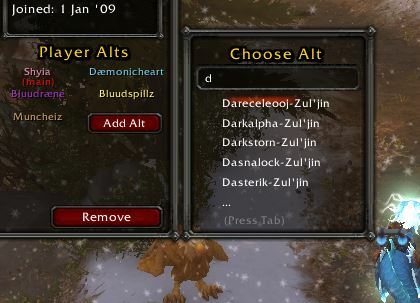 Anyway to add Alts to Notes automagically, such as on the alt toons a note of whom the main is.